A prime example of this has been the recent Twitter drama regarding the ‘Own Voices’ movement. If you don’t know what that is, there’s a really great article by Refinery29 linked here all about it. It specifically relates to Young Adult fiction, which is something I have a bit of a stake in, being the writer of YA novels. Writers from diverse backgrounds should be as much focused on as characters from those backgrounds. But intersectionality makes things tricky. People are complicated things. As such, they often fall into more than one category. 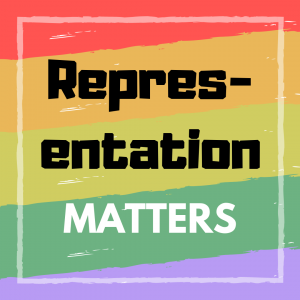 One writer might be black, disabled, and poor but have their book about a black, disabled, impoverished character not picked up because the character is also gay and the writer isn’t. Diversity becomes a checklist, and people across Twitter become gatekeepers. This has gotten particularly nasty in some circumstances. People have been subjected to online abuse. Author’s books and careers have gone up in flames. In short, things have gone too far. People who would otherwise be allies risk being alienated and, worst of all, the very communities at the core of such issues are further disadvanced first and foremost. Everybody loses. In my personal opinion, own voices writing about their own experience should be lifted up. A light should be shone on them without a doubt. But I don’t think they should be the only people who are allowed to tackle such topics. As a bisexual, disabled person, I want more books about LGBT characters with disabilities to be written. If they’re written by people with personal experience, all the better, but the important thing is that they are written. The characters and issues get in front of people’s noses and those characters and issues get seen. I can’t help but feel like putting limits on stories and, in the extreme, censoring narratives entirely, is the opposite of progress. As a bisexual, disabled person, I have LGBT and disabled characters in some of my stories. The trilogy I am working on also happens to centre around main characters who aren’t white. Call me biased, but I don’t think I should scrap those stories because I am white and therefore have “no right” to speak for the non-white community. Because I’m not claiming to write for non-white communities. My books aren’t trying to depict the definitive non-white experience. Even if there was such a thing, I’d say it almost certainly would need to be written by someone who wasn’t pale as a ghost in snow. I don’t have intentions as arrogant or lofty as all that. I just want people to someday pick up my books and see themselves included. Fiction – good fiction, at least – is there to connect people. To build empathy. How can we hope to do that if all we are only ever allowed to write about our own experience?